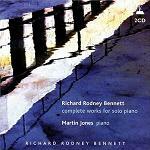 Sir Richard Rodney Bennett's formal training is decidedly classical, having studied at the Royal Academy of Music in London and then under Pierre Boulez in Paris. However he has always had an interest in Jazz and improvisation. Though the formal education resulted in his writing much in the classical vein, with regular concert works and many recordings available. He has also had some success in the Jazz arena both as composer and pianist, and worked with the singer Cleo Laine and John Dankworth for a period. He has also contributed significantly to the movie scene with scores for a number of films, particularly films of British origin. He started in the film industry putting together the music for those documentaries that used to be shown as a filler along with a main feature. He then progressed onto scoring those main features themselves, starting with a string of Horror movies, Comedies and Thrillers. Though he has a broad musical experience, his best-known film work has tended to be period dramas or productions with a literary origin. Not having worked on hollywood blockbusters his music has tended not to be full of in-your-face pulsating excitment but more thoughtful, reflective and artistic in nature. Yet his music manages to fulfil the role demanded of it and also stand up on its own as music with a certain intrinsic interest. His composition style can be quite modern at times which is relatively unusual in film music, but equally he can adopt romantic and lyrical styles when the situation demands. For "Murder on the Orient Express", Bennett put together a collection of themes including an exuberant waltz, and a Charleston-like dance theme which is given many treatments in a variety of styles, and some suspenseful underscore at suitable moments in the plot. His music for the TV series Gormenghast is highly recommended, but Amazon don't seem to stock the soundtrack CD. However they do have the music to his first oscar nominated score for "Far from the Madding Crowd" at these links: Amazon.co.uk, or Amazon.com. 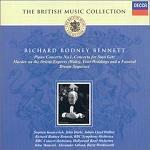 Although based in Britain for many years and knighted in 1998, Bennett now stays in New York. Recently he has appeared in Manhattan's Encore Club playing cabaret songs. Also he was commissioned to compose a piece to celebrate the late Queen Mother. The work is for cello and orchestra, called "Reflections of a Scottish Folksong", and received its premier performance in 2006 with Paul Watkins playing the solo part. Bennett has also recently found a passion for the visual arts and has participated in art exhibitions. See the Nightingale Project for more information about his series of "Collages". 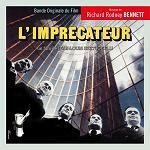 His music for the French film L'Imprecateur (released internationally as "The Accuser") is now available from Music Box Records together with another film by the same director Jean-Louis Bertuccelli. The score's mood is dark and sad, generally atonal and atmospheric, with strings, piano, spinet and percussion, and featuring some eerie slide effects. 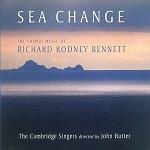 It is with regret that we report the sad passing of Sir Richard Rodney Bennett. He died peacefully on Christmas Eve 2012 after a long, distinguished and varied musical career. A biography about the composer was published in 2010. It was written by Anthony Meredith and Paul Harris who have collaborated previously, including a well-regarded biography of the composer Malcolm Arnold. The new biography is called "Richard Rodney Bennett: The Complete Musician" with the title referring to the breadth of the composer's interests and successes, from film and television to concert music, contemporary music to song, and his music for cabaret and jazz clubs. More information about the new biography can be found at Amazon.co.uk, or Amazon.com. See also the article Final on Vinyl? which describes Bennett's score for "The Return of the Soldier". One Way Pendulum - film adaptation starring Eric Sykes of the surreal play by N.F. Simpson; Bennett creates some nice comic jazz performed by the Johnny Scott Quintet and Jonathan Miller teaches "speak your weight" machines to sing Handel's Hallelujah Chorus and Arne's Rule, Britannia! Lady Caroline Lamb - the composer later adapted the music into a concert piece subtitled "Elegy for Viola and Orchestra"
Note: Richard Rodney Bennett the composer is not to be confused with the director Rodney Bennett who has also worked extensively on British television programmes including Doctor Who for example.